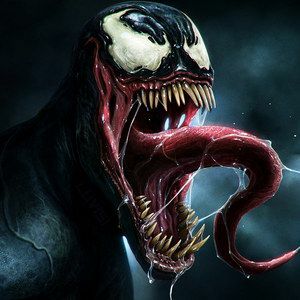 Does The Amazing Spider-Man 2 Trailer Hint at Venom? I know what you're thinking: 'Enough with the The Amazing Spider-Man 2 trailer, already!' Maybe you've gotten sick and tired of all the coverage this two minute teaser has received today. But that's what happens when a director hides tons of Easter eggs, buried deep for fans to find. So far, we've discovered the appearance of the /black-cat-revealed-in-the-amazing-spider-man-2-trailer-gallery/Black Cat, and nods towards /vulture-and-doctor-octopus-teased-in-the-amazing-spider-man-2-trailer/The Vulture and Doctor Octopus. Now, a Reddit user by the name of VurigKnijn has grabbed a quick frame from the footage that hints at the inclusion of Venom as part of the Sinister 6. Take a look and then watch the trailer again...Do you think this popular villain will appear in The Amazing Spider-Man 3? Or The Amazing Spider-Man 4? Or is it really just good old 'venom' storage, drained from snakes and other reptiles?